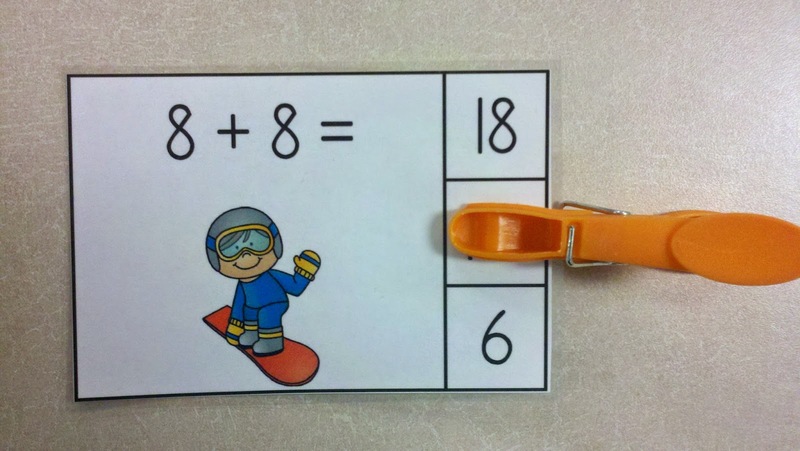 Winter Sports Fun Doubles Addition Math Centers provide fun and inviting math centers for learners to practice doubles addition facts. 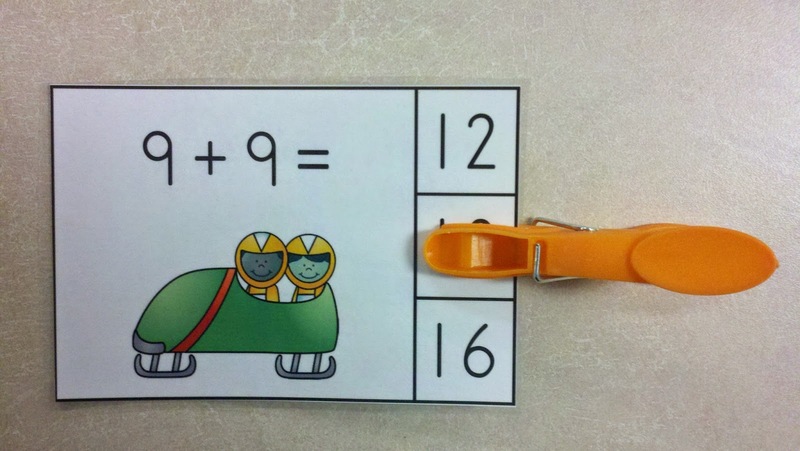 There are 5 addition clip card math centers activities in this packet. Each activity has 11 clothespin clip cards and a recording sheet. 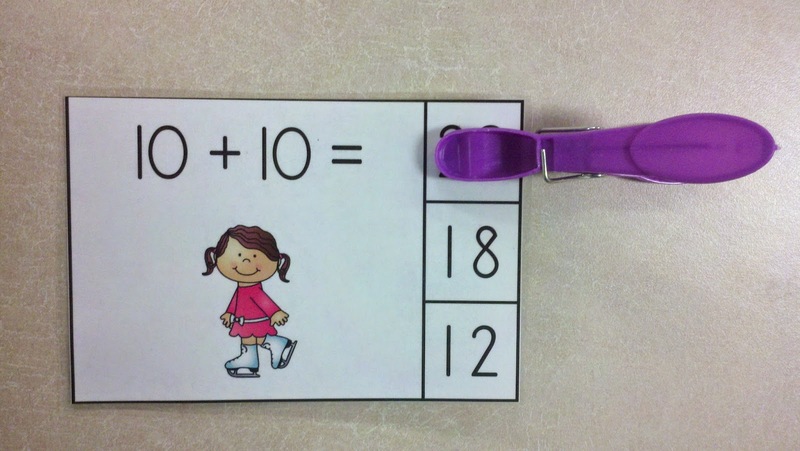 There is a doubles addition fact and a choice of three sums printed on each clothespin clip card. The cards and recording pages have matching winter sports graphics. The graphics include kids ice/figure skating, kids snow skiing, kids playing hockey, kids snowboarding, kids riding in a luge, and kids riding in a bobsled. 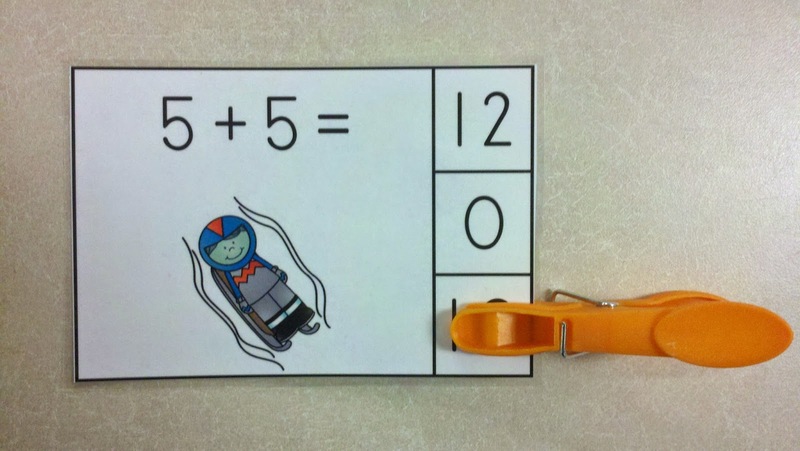 Winter Sports Fun Doubles Addition Math Centers help learners develop addition fluency and support the Math Common Core Standards for Operations and Algebraic Thinking. 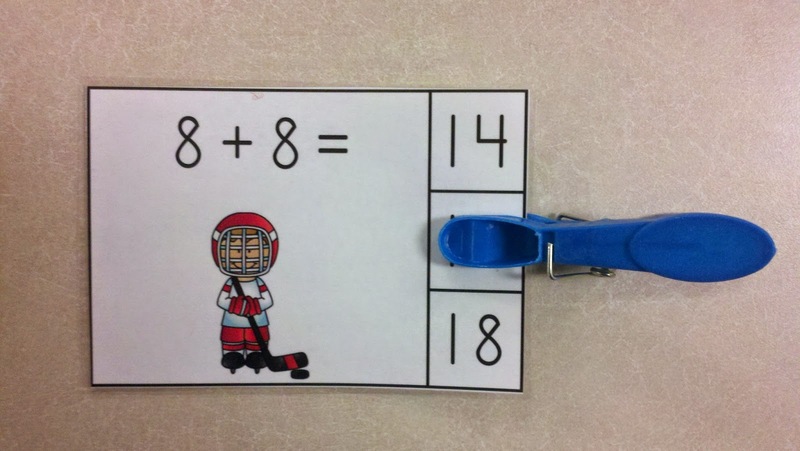 Thank you for looking at Winter Sports Fun Doubles Addition Math Centers. I hope you and your learners enjoy these activities. Have fun with your winter friends!